Some engaged couples decide that although there may be a lot of love between them, they aren't ready for marriage. Although breaking an engagement or delaying a wedding is a difficult thing to do, it is less painful to call off the wedding now than it is to file for divorce later on. With a break from the stress of planning a wedding, couples are sometimes able to work through the issues in their relationship, and do get married later. While making the decision to wait or call it quits can be tough, it can be almost as difficult to manage the feelings and responses of the people around you. Fortunately, you're not the first to go through this process; there are many tried and true techniques for smoothing the path and getting back to normal. Regardless of how you decide to let folks know that your wedding has been canceled, remember that you do not owe anyone an explanation. In fact, it is considered inappropriate to divulge the reasons for your broken engagement (except, of course, in personal conversations with friends and family members). 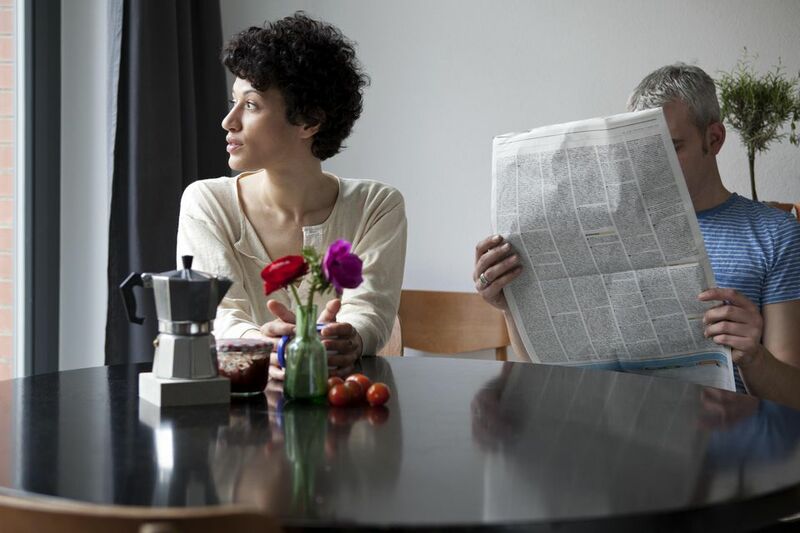 Notifying Newspapers that Published Your Formal Engagement Announcement: If you made a formal announcement in a newspaper, you can easily send another announcement to say that the wedding is off. The engagement of Miss June Jones and Mr. James Johnson has been broken by mutual consent. Reaching Out to Family and Friends Who Received Wedding Invitations: If time is short or your wedding plans included only a few people, you can call your family and friends. Keep calls short and to the point. If you have more time (or you have a long list of invited guests) you can send brief notes printed on small cards. Mr. and Mrs. Jason Jones announce that the marriage of their daughter, June, to Mr. James Johnson will not take place. Reading your contract: You may save on some of the cancellation penalties and deposits by checking your contracts with the vendors with whom you made arrangements. You should be able to receive a percentage back on your deposits. How much you may receive will depend on how close the date of the wedding is when you canceled the arrangements. Making a claim for wedding insurance: If you purchased wedding insurance, be aware that most wedding insurance policies do not cover changing your mind about getting married. The insurance companies will cover major events, though, such as a death in the family, illness, a natural disaster, or severe weather conditions. Canceling all contractors and reservations. Make sure you follow up all cancellation requests made by telephone with a formal notification and request for the return of deposits in writing. Some of the calls you'll need to make include you officiant, wedding site, reception hall, photographer, musicians or DJ, caterer, and florist. You'll also need to cancel any plans you've made for your honeymoon. Return engagement, shower, and wedding gifts to family and friends with a simple note of thanks. Let them know (without any explanation) that the wedding has been canceled. Even monogrammed gifts should be returned to the senders. If you already used a gift, you should purchase a replacement to return. Deciding what to do with your wedding dress can be an emotional decision. If you aren't ready to make the decision, it is okay to wait awhile before doing so. If you've already purchased your wedding dress, you can decide to either keep it, alter it, sell it, or give it away to a local charity. Some bridal shops may be willing to sell your wedding gown for you as an in-store sample. It is important that the two of you think clearly, and without animosity. This is important during a trial separation and possible reconciliation, and it is also important for moving on with your life and plans if the two of you decide that your relationship is over. As you move past the process of decision-making to the next part of your life you may find these tips to be helpful. Recognize your grief: Although you may not feel as if you are stressed over this, you probably are. Experiencing the grief of shattered dreams can take you through the stages of disbelief, bargaining, anger, depression, and anger. This is natural at a time like this. Take care of yourself: Drink water, exercise, get regular sleep, eat healthy foods, and try to find ways to laugh each day. Don't destroy mementos: You may want to get rid of anything that reminds you of your fiance, but don't do it. Pack the letters, photographs, and other mementos away until you can rationally deal with them. Return the engagement ring: Regardless of who broke the engagement, according to protocol, the bride should return the engagement ring. The only exceptions to this are if the ring is an heirloom from her own family or if she received the ring as a Christmas or birthday gift. Don't say "I told you so" or something similar. Remember it is always possible that the couple will reconnect in the future. Assist with notifying people of the wedding cancellation. Help in canceling wedding arrangements. Mr. and Mrs. Jason Jones regret that owing to a death in the family they are recalling the invitations to the marriage reception of their daughter June, on Friday, the 3rd day of December, Two Thousand and Twelve. The marriage ceremony will take place as originally planned. Who Keeps The Ring When The Wedding is Called Off?